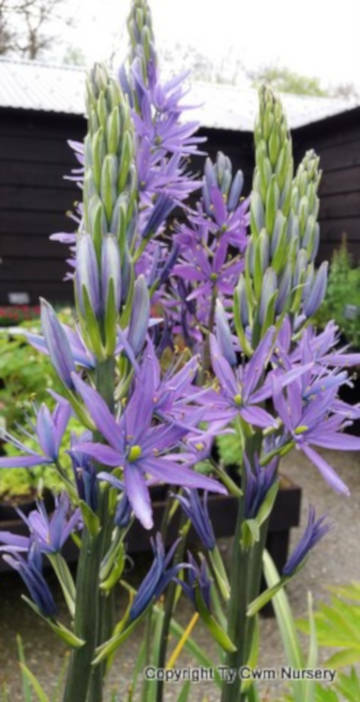 Camassia leichtlinii caerulea make an impressive show in late spring early summer, they have strap like leaves and the violet blue ,star shaped flowers in tall spikes are held on strong stems. Happy in most soils from acid to alkaline. 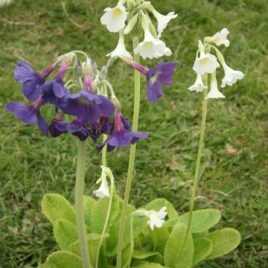 A plant that although bulbous copes very well with our wet Welsh winter conditions. Also makes a good cut flower. Plants are supplied rooted in a 1.5ltr pot. 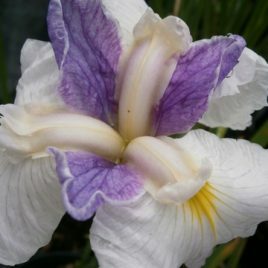 Iris Ensata 'Queens tiara' likes a real soggy place to grow, at the edge of a pond or stream would be it's first choice, but it will perform well in the border as long as it doesn't dry out . Full sun will give you the best flowers, and a nice clump will have built up within 3yrs. Plants are supplied in a 1.5ltr pot. 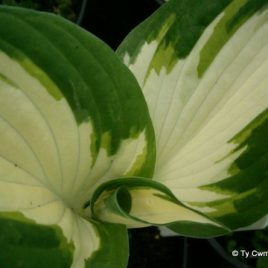 Hosta 'Fire and ice' has clean, crisp markings on it average sized leaves. Happy in shade where it's foliage will keep it's colour without scorching, it's flowers are pale lilac. Supplied in a 1ltr pot. 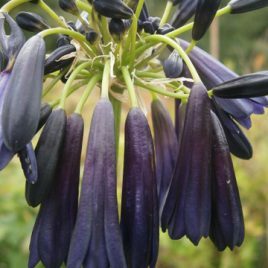 A stunning almost black flower held on strong stems above strappy green foliage that dies back in winter, making it hardier than the evergreen varieties! great in containers. Plants are supplied in a 1.5ltr pot.